We are delighted to announce that we have been chosen as one of the Tots100 Bostik Bloggers for 2017. It means we will get a craft box every month and be challenged to come up with a craft idea based around a theme. We hope you enjoy these Valentines craft ideas. This month the theme was Valentine’s Day. I decided to use this as a great excuse for one of our Book Craft Days. We read the book Guess How Much I Love You and then we went on to make some crafts with theme of love/valentines. Our first craft was making a Valentines Day garland. Stick the stickers on the heart shapes. 2. Insert the twine through the holes in the heart and tie them to make a loop. Do this for each heart. 3. Insert a long length of twine through the hearts to link them up. The hearts will naturally all just try and gather together in the middle; this is where the bostik glue dots come in! Space the hearts out along the twine where you want them and then fix them in place by putting a glue dot on the twine and sticking them together. 4. There you have it – your very own heart garland. 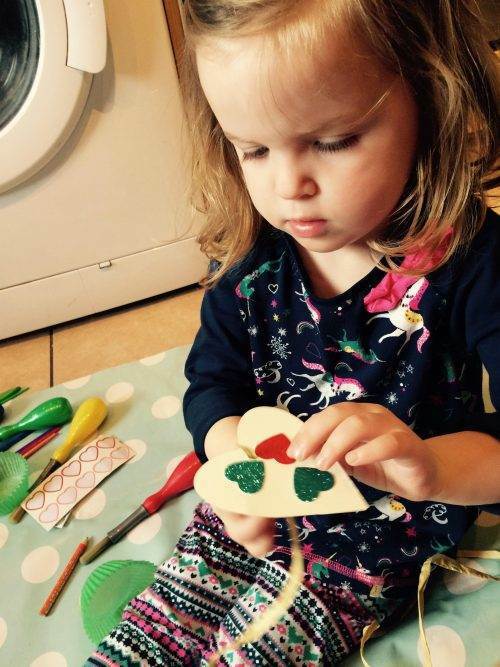 This craft is so simple and so quick and it is ideal for toddlers as it gives them fine motor skills practice with the threading and lots of fun with the sticker sticking! Next we decided to decorate a bag. Cut the printed paper into a heart shape. It is helpful to either use a heart shaped template or draw a heart on the reverse of the paper and cut around it. Add glue to the back of the heart shape. 2. 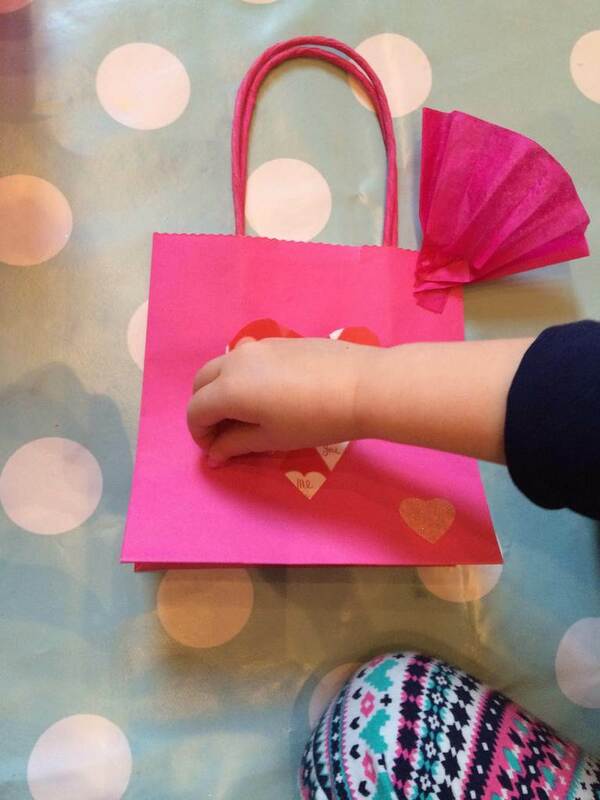 Add some glue to the bag where you will place the heart shape then stick it down. 3. Fold some paper into a fan shape and stick it into the corner with some Bostik glue. The add some stickers to decorate. 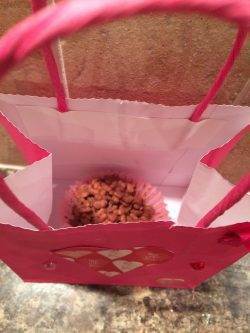 We filled the bag with a nice homemade rice krispie cake as we thought this would make a perfect valentines day gift! If you enjoyed these Valentines Craft Ideas then make sure you follow me on Pinterest so you don’t miss our next craft updates!